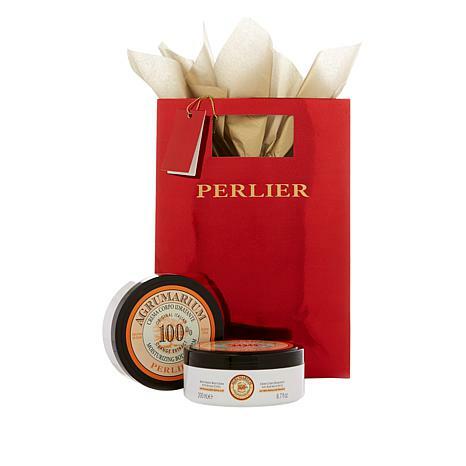 Hydrate and lightly fragrance skin with this body cream duo that includes a gift bag. - A clinical study of Perlier Agrumarium Body Cream showed a 33% increase in moisturization of the skin after just one hour. - A clinical study of Perlier Agrumarium Body Cream showed a 15 % increase in optimized skin elasticity after 28 days of use. - A clinical study of Perlier Agrumarium Body Cream showed a 32% increase in skin tonometry after 28 days of use.